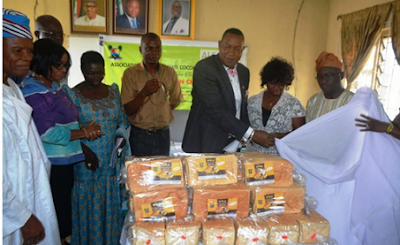 The State Government has launched a specially made bread from coconut named – ‘the Eko Coconut Bread’ to serve the populace, in its continued bid to boost food security in Lagos. Special Adviser to the Governor on Food Security, Mr. Ganiyu Okanlawon, who launched the Eko Coconut Bread noted that the production of the specially made bread from coconut was a demonstration of the state government’s commitment to promote coconut value chain in the state. Okanlawon, while highlighting the benefit of coconut stated that it could be used for quick healing of wounds, cough and prevention of cancer, stressing that other product that could be produced from coconut aside bread included product such as coconut oil, coconut cream, soap, burundi, coconut water, hair cream, coconut body cream, coconut candy and many others. He added that the bread is nutritious and delicious for consumption. Since they say it's in the interest of Lagosians, we hope they sell the bread for N200 or less. Afterall they can't be competing with other bread makers. Na government now- it's for the people. N150 pleaseeeeee.